If you fit one of the criteria below, please contact us! *An individual with media contacts who can easily educate and communicate the LSS mission and further linking it to the Stronger Together Campaign/100th Anniversary. 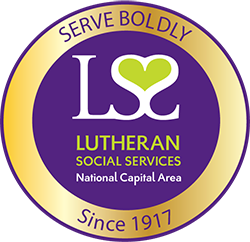 *An individual with congressional (local, state or national) connections who can raise the visibility of LSS and further articulates LSS’s platform on adoption and refugee resettlement (LSS will need a clear position on these issues). *An individual who has social media savvy and is available to compliment and augment the LSS communications program staff. *An individual who has an ability to nurture corporate sponsorships. *An individual with energy and a true purpose to the mission of LSS.